Imogen's Typewriter. 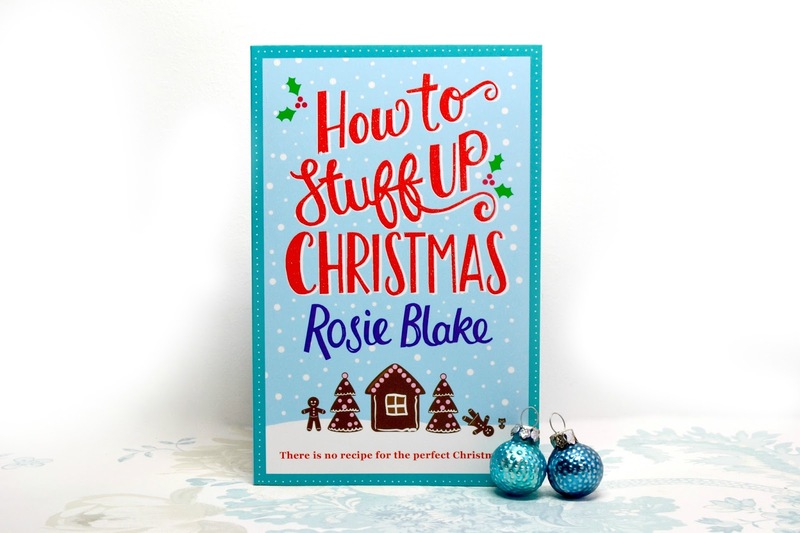 : Book Review: How To Stuff Up Christmas by Rosie Blake! Book Review: How To Stuff Up Christmas by Rosie Blake! Christmas books have the prettiest covers! I really enjoyed this book. It started slowly but I ended up reading for three hours straight to get to the end and find out how it turned out for Eve. It's weird because I write a character called Eve, and Rosie Blake's Eve is a little bit like me. She decides to hide from her problems and spend December on a houseboat far from home, but whenever she talks to her ex, she takes no nonsense. If you're looking for a book with a main character who feels human, How To Stuff Up Christmas will fit the bill. The writing is very simple but I think it works to it's advantage. It is, for lack of a better term, chick lit and it's fluffy and fun for the holiday season. There's nothing to trip over while you're reading, but there's also no beautiful sentences to savour. It's a win some-lose some kind of situation. But it did make me feel really Christmassy while I read it, there's scene setting like: "-she had sat on a bench next to the enormous Christmas tree with a hot chocolate, the air smelling of pine needles, her shopping bags around her feet-" and doesn't that just sum up December? The mysteries about Daisy and Greg seemed pretty obvious from the get-go and I spent most of the book feeling smug that I had figured it out, but ended up being wrong on one! Not so smug after that. I still don't know what the heck was up with the goose though. This story does keep you guessing about where it's heading, but there's nothing too drastic or angsty. Rosie Blake has written a really great contemporary cosy Christmas book I think a lot of people will enjoy this Winter. So if you want to spend Christmas Eve with Eve, you can pick up a copy here! Will you be reading this book at Christmas? What's your favourite Christmas book? *I received this book from the publisher. It hasn't changed my opinion.